New Zealand is the best place in the world for expats to work, live and raise a family. To find out how you can enjoy the world class lifestyle New Zealand has to offer download a copy of our free, comprehensive guide to teaching in New Zealand. As a preferred recruitment agent for the Ministry of Education, we have been bringing teachers from overseas for over 15 years. If you are considering making the move, now is the time time, with the high demand in all areas. Now's the perfect time to relocate to New Zealand. As part of a teacher supply package, some new initiatives have recently been announced to help streamline the process for overseas teachers coming to teach in New Zealand. It could be quicker and cheaper for you to teach in New Zealand than ever before! NZQA now have a list of 'Pre-Approved Overseas Teaching Qualifications.' If your initial teacher education qualification is on this list, and you fulfil the other exempt requirements, you don't have to have your qualifications assessed. You can skip this step, saving you valuable time and money. At Education Personnel we work closely with the Education Council, and as soon as you submit your application for teacher registration we'll follow your progress closely. Recently Education Personnel was invited to present to Immigration New Zealand to share our knowledge of the processes teachers go through to teach in New Zealand. It was a great opportunity to share our expertise and update the INZ team with the rapid changes happening in the sector ( i.e. with the NZQA, teacher registration and NovoPay processes). You can read more about Building Connections and Growing Sector Skills here. Only a licensed immigration advisor can give immigration advice. Several of our previous overseas teachers have used Migration Associates to assist them with the move to New Zealand. If you'd like to speak to someone who can assist you with your visa application, then please click here. To start understanding the New Zealand curriculum and teaching environment, two introductory videos have been developed by the Ministry of Education to give you an overview of our education system. A link to "What does teaching look like in Aotearoa New Zealand?" You're invited to a webinar! 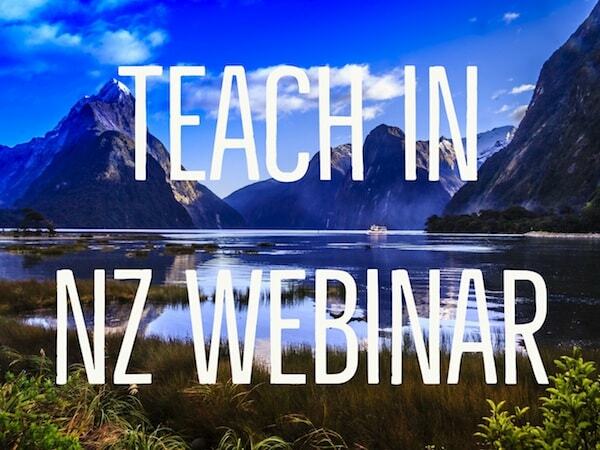 You'll find out about the current teaching market, what the New Zealand school system looks like, what you need to do to to teach here, plus more!